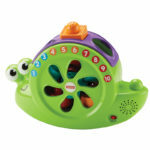 From head to tail, this sweet snail is full of rock in’ put and take fun! 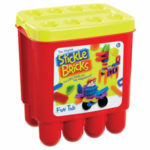 with 10 colourful shape blocks, little ones can stack ’em up tall or sort ’em into the shell. Once it’s filled, just open the lid to spill them out and start again! 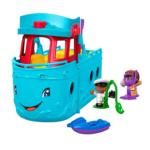 and when your baby gives the snail a bat, this little play pail shells out learning fun with songs about colours, counting, and shapes! Farmer Jed works very hard to care for all his animals on the Little People Caring for Animals Farm, and he would love some help from your tiny farmer. 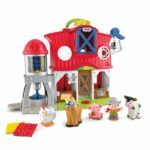 Toddlers will love learning how to take care of all their animal friends, from feeding the chickens to tucking in the horse with a soft blanket, and exploring all the exciting activities on this farm. Welcome home, kiddo! 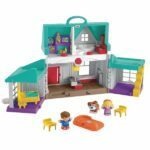 When toddlers open the Little People Big Helpers Home, they’ll discover multiple rooms filled with realistic features and lots of hands-on play. 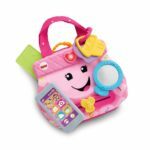 This interactive check-up kit offers up a healthy dose of learning and role play fun for your little doctor. 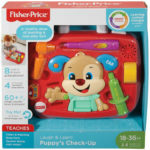 As little ones give their pal Puppy a check-up, they’ll hear playful songs and phrases introducing them to different parts of the body, colours. 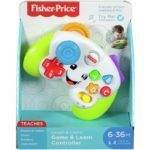 Your baby can get into the gaming fun with this Laugh & Learn toy video game controller, which features two “gaming” modes and lots of hands-on activities! 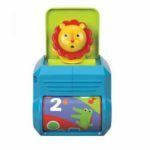 As little gamers move the joystick and press the ABCD and number buttons, they’ll hear exciting songs, sounds, and phrases that introduce numbers, shapes, colours, and more!